Motivation is the key to reaching any goal. Motivation though, isn’t a constant thing. 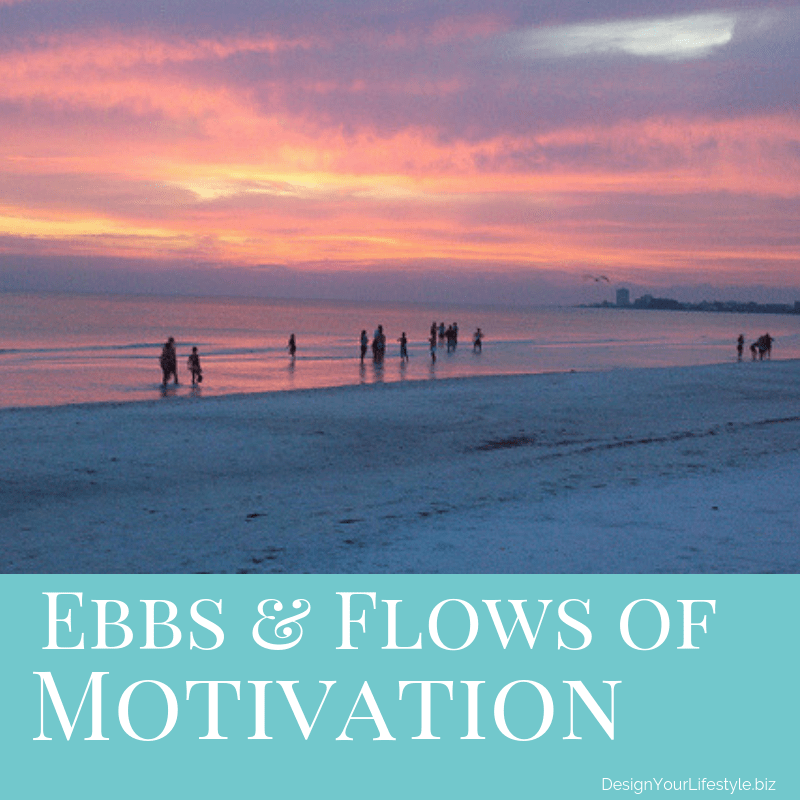 The ebbs and flows of motivation are like the tide. You’ll have periods of high energy where you’re very productive, and times when you are lethargic and work is very difficult. The temptation to quit can be strong when your motivation ebbs. The key is to stick with it and the flow will come back. 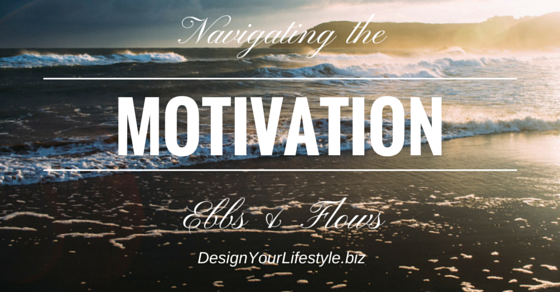 Follow these tips to navigate through the ebbs and flows of motivation. Minimize and eliminate distractions and other obstacles. Everyone has distractions, no matter how organized they are. Unhealthy food in the refrigerator distracting us when we are dieting is one example. Get rid of the easy access distractions and temptations in order to keep yourself on the right path. Take note of what gets you off track. What caused the lapse? Figure out how to remove an obstacle or reduce its effect on your progress. Visualize your end result again. Sit down and think about every detail of your goal. For example, if you are going to write a novel, visualize yourself writing every scene and character, finishing the book and sending it to the publisher. Replace negative thoughts with positive ones. When your motivation ebbs, you might have a tendency to think negative thoughts, like “I can’t do this” or “this is too difficult.” When you find yourself doing this, try to squash those thoughts and replace them with positive ones. Find a way to get excited again. What was it about the goal that got you excited in the beginning? Try to build on that to get through the ebb in motivation. Read about others who are achieving the same goal as you. Reading about it can inspire and re-energize you. Talk to friends and mentors when you hit a low spot. Find others who will cheer you on and help you get motivated again. Build on your past successes. Each little step you’ve achieved takes you closer to your goal. Look at each success to get you to the next level. Go back and look at the progress you’ve made so far to help you keep going. Plan in advance what to do when obstacles arise. Reread your list of reasons why you are going for your goal, for instance. Brainstorm new or more interesting ways to proceed towards your target when you become discouraged. Get help from a coach or accountability partner to guide you. Reward yourself when you hit a target or mini-goal. Rewards are something you can look forward to. By breaking your goal into small tasks and rewarding yourself when you reach each one, you are less likely to become overwhelmed. Motivation is necessary when you want to reach a specific goal. But your motivation won’t be a constant thing. Learn to ride the ebbs and flows of motivation like a surfer. Follow the above tips to help you get through the low times and enjoy the flows. Tweet: Reward yourself when motivation flows. Get back on track with help when motivation ebbs.